Thursday evening, June 13, 5-9 p.m. Delicious Details Catering will be serving a buffet meal from 6 until 7 p.m.
Tickets are $15 per person for adults and children, and include the music and the meal. Reserve tickets by Monday June 10, 2013. Tickets can be found online at www.fredericksburgorchestra.com or by calling 806-549-2483. Proceeds go to the Fredericksburg Community Orchestras. 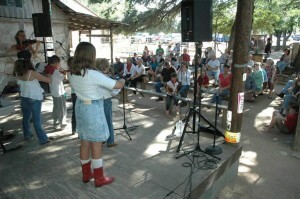 The 501(c)(3) nonprofit was formed in 2010 to promote string education for all ages in Fredericksburg and surrounding communities.